Morning! I'm glad I still have some unposted manis, because summer has arrived, and it's way too warm to sit inside and polish! 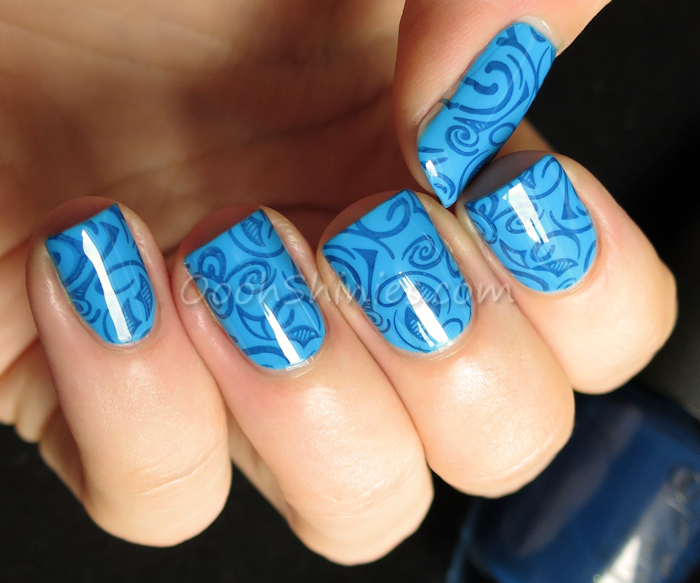 So I'll be outside today, with my inflatable kiddie pool :D In the meantime I do have a summery mani for you, the basecolor of this one has to be one of my favorite blues, it's such a vibrant color! I couldn't capture it well, my camera tones it down a little but ah well. I'll show swatches of it soon too, and explain more of why I like it so much! 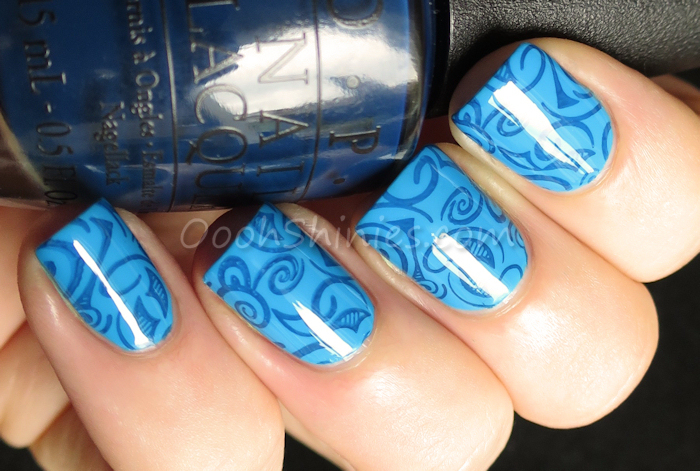 The stamping polish is a little sheer for stamping, but used on a blue base you can't really tell in real life. Most of my polishes that work for stamping are shimmers, but I like a creme stamping at times as well! So it'll have to do, haha. The image that I used is on one of Bundle Monster's Polynesia sets, the Traditional Polynesia set to be precise. I've reviewed the set in this post. Love this image! Dance Legend #1039 with OPI I Saw... U Saw... We Saw... Warsaw and Bundle Monster BM-XL115.